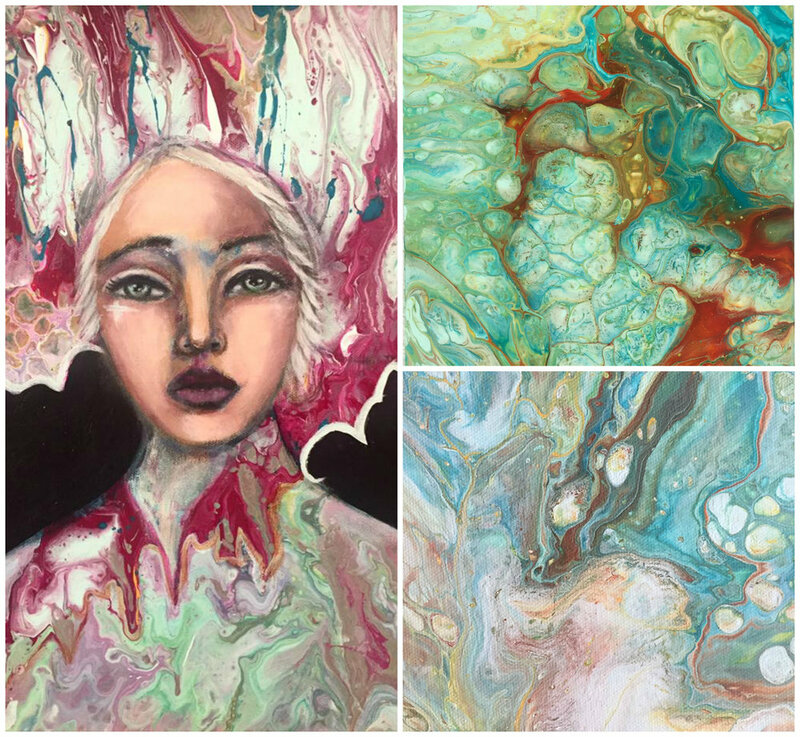 "Acrylic Pouring came at a time in my life when I really needed to learn how to let go in my art and in my life. Art felt hard, and I often found myself frustrated which was taking the fun out of art making. Instead of trying to make something happen, I felt a longing to try a medium that almost took some of the control away. 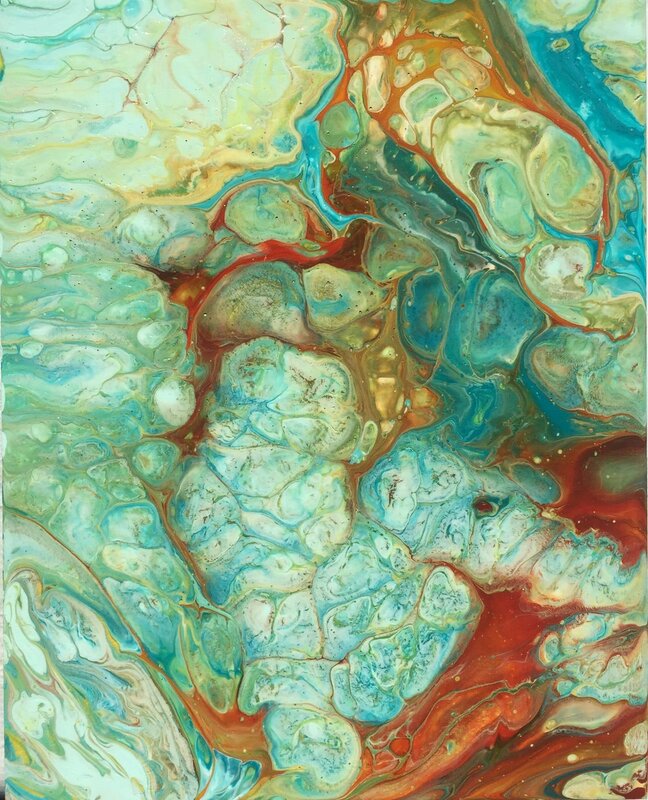 Acrylic pouring is really a dance between control and letting go. It requires a playful spirit and a willingness to risk and let go. While you do plan what colors you use, the consistency of your paint, how big or small your canvas will be, how much you will tilt etc...you can never predict the outcome. I hope to impart some of what has worked for me as well as what hasn't worked. I hope to share with you my enthusiasm and passion for this art medium. I hope you have a lot of fun along the way. If you are new to acrylic pouring, just starting out or have never tried it. You feel a bit overwhelmed by all information out there on acrylic pouring and have hesitated to try it. You are willing to experiment. It takes practice to find a formula that works for you and not every pour will work every time. You are willing to accept that cells are not everything and that you can still create something beautiful without cells. Note: Due to an allergic reaction while using Floetrol, silicone and torching, when I first started pouring, I had to find some ways to still enjoy the process without these ingredients and the use of a torch. In this course I use some safer and simpler ingredients to get similar results and I do not use a torch. Full Supply List will be sent via email when register. Classes are non-refundable due to immediate access.